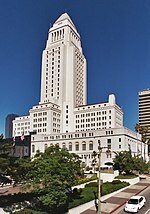 The 1915 election for Mayor of Los Angeles took place on May 4, 1915, with a run-off election on June 1, 1915. Charles E. Sebastian was elected. This page was last edited on 31 March 2019, at 21:42 (UTC).